Johanna Frid wants her writing to be dark enough to make your eyes hurt, and so funny it makes you snort like a pig. She writes about having a family, about not having one, about Scandinavia, jealousy, and the incurable loneliness of the soul. Frid made her literary debut in 2017 with a collaborative work with Gordana Spasic. 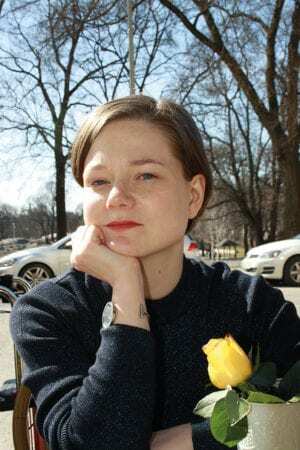 Familieepos (Family Epos), a work of poetry, was shortlisted for both the Catapult Award of the Swedish Writers’ Union, and Swedish Radio’s Poetry Prize. 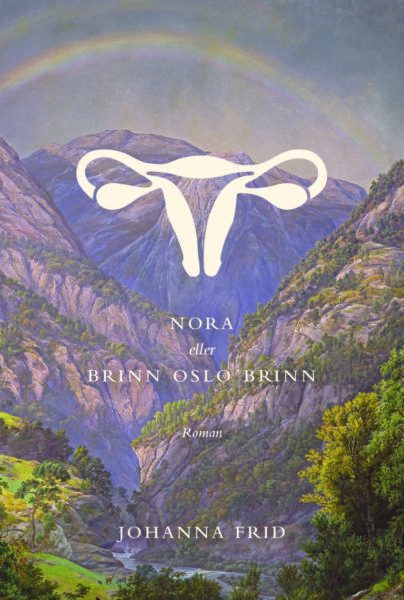 Nora or Burn Oslo Burn is Frid’s first novel. It was published in late 2018 to great critical acclaim, ranked on the prestigious Dagens Nyheter Critic’s List for 11 consecutive weeks (7 weeks as number one). Johanna Frid recently moved from Copenhagen to Stockholm, the city where she was born. She holds an MA in Culture and Communication and is deeply interested in the Scandinavian languages and the possibility of a Nordic cultural community. She is currently developing a novel with the working title Stora spökboken (The Great Ghost Book). The story revolves around three adult siblings, a recently deceased mother, a dead dog, and an obstinate twelve-year-old who wears black leather boots.